Raisin >  Raisin has qualified for the second round of Fabrique AVIVA .Thank you to all! 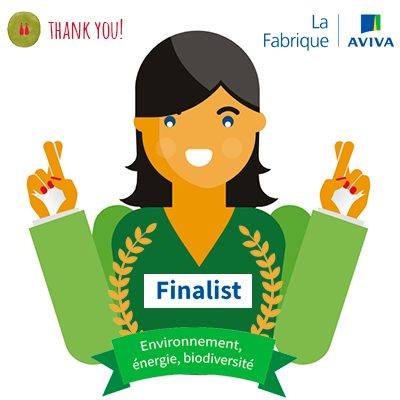  Raisin has qualified for the second round of Fabrique AVIVA .Thank you to all! The next test will take place the beginning of June, and this time we will have 10 minutes to convince a jury of experts: 5 minutes to present the project, and 5 minutes of questions…intense! -The team and the project (30%) : presentation, coherence of project, ability to unify. What’s next? In June, the big winners will be revealed. In the case that we win, the financial aid would help us to promote natural wine all over world, develop Raisin in an autonomous and independent manner, and put in place functionalities that would generate revenue. In short, the money would be very useful. We are crossing our fingers and we will keep you informed! ✨  Raisin: 70,000 DOWNLOADS of the application ✨ THANK YOU  !  OVER 30 NEW ESTABLISHMENTS TO DRINK NATURAL WINE IN NETHERLANDS!